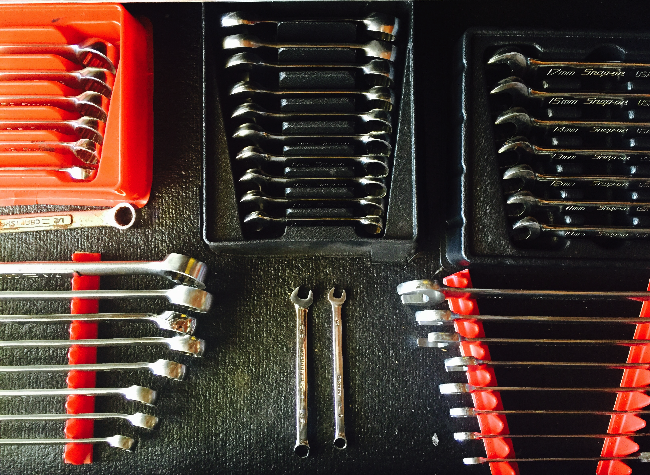 When it comes to basic moto maintenance, many riders head straight to the nearest mechanic. Some choose to do so instead of taking on projects themselves because they are nervous about doing something wrong and destroying their bike. Others have zero experience working on vehicles and think wrenching is beyond their capabilities. Some projects are not recommended for beginners – don’t start with an engine swap or a valve adjustment. If you start with simple tasks and ask for help when you need it, you should do just fine. Doing basic maintenance yourself will help you get to know your ride on an intimate level, build your confidence (especially for female riders), and save you time and money. Here are four simple maintenance projects that you absolutely can do yourself with minimal experience and little special equipment. To get how-to guides for any of these tasks that are model-specific, search YouTube for “(your bike’s name) (project type)”, for example “2008 R6 oil change,” and off you go. This is the number one maintenance activity every moto owner should do at home. You could be visiting your mechanic for oil changes three times a year or more depending on how much and how you ride. Each oil change in the shop will cost at least $100 and a couple hours of your time compared to about $50 for oil and a filter and 20 minutes at home. It is only scary the first time you do it, after that it is a piece of cake. You lube your chain every time you ride and clean it every 300 miles or so. But have you checked the slack in your chain lately? Grab the lower part of your chain halfway between the two sprockets and give it an up-and-down wiggle. It should not move more than about an inch. If it does, time to adjust your chain. Loosen your axle nut, adjust using the adjusting bolts on the end of the swingarm, and retighten the axle nut again when you are done. Be sure to adjust both adjusting bolts the same amount so your wheel is straight. There are usually markers on your bike to help you gauge how much you moved each side. Oh, the joy of new rubber. Nothing gives a rider as much pleasure as a fresh set of tires. Did you know that many moto shops will mount and balance a new tire purchase for free if you bring in your wheel? If you bring in the bike and have them take the wheels off, change the tires, and put the wheels back on, it is considerably more expensive. Save yourself some cash by taking your wheels off yourself. (Leave the tire changing to the pros for now.) To remove the front wheel, unbolt your brake calipers, loosen the axle nut, and slide the axle out. The rear is a little more involved, requiring you to remove the chain from your rear sprocket in addition to dealing with brake caliper. Take your time, try not to lose anything when you remove the axles, and you should be just fine. Doing basic maintenance tasks at home will get your hands on your bike, which is good for a variety of reasons. Working on your motorcycle helps you to catch small mechanical problems before they become big ones. Every new maintenance task you learn to do yourself expands your knowledge of how your bike works, helping you diagnose mechanical problems and choose upgrades that are right for you. Wrenching is a rewarding part of motorcycling, not to be missed. So gather your courage and head out to your garage for some quality time with your ride.